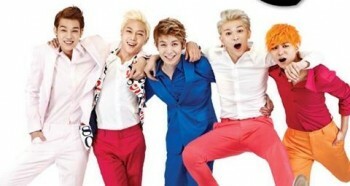 On February 14 the boys of LEDApple visited the Netherlands to hold a concert in Maassilo in Rotterdam as the first stop of their European tour. Even though the weather was far from perfect, fans from several countries had gathered in front of venue to spend their Valentine’s Day as close as possible to their idols and they were treated to a glimpse of the members as they entered the building for the press conference. The five members, Hanbyul, Kyumin, Youngjun, Hyoseok, and Kwangyeon, were very easy-going and kind and answered all the questions we had for them. Hanbyul took the lead, translating for other members when necessary, while Kyumin at times eagerly tried out his English and a couple of Dutch words that he had learned. They spoke about how they knew Amsterdam from movies they had seen, but were shocked at how tall the girls were. They also told us the European fans they had met were much more upfront and less star struck than they were used to, and compared them to friends. As fans know, LEDApple has done some amazing covers already, but we asked them if there were any songs they’d still like to cover. They mentioned several artists including “Birdy”, specifically the song “1901” for those who are familiar with it, as well as the “Foo Fighters” and “Panic! At The Disco”. Of course everyone also wanted to know if there would be another music note. The boys told us they had had a meeting with their company and that they were aware that it was very popular with fans, but regretfully they weren’t able to confirm anything. 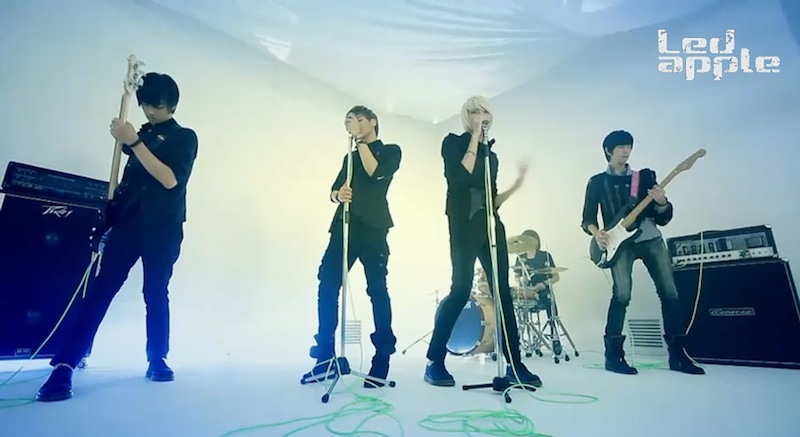 There was other big news, however, namely that of LEDApple’s European debut. The members told us they had been working with a Dutch songwriter to record a new song, called “my baby”, in English, and spoke enthusiastically about how much they loved the song and told us to look forward to it. During the concert July was mentioned as a release date, so keep an eye out for that! Throughout the press conference, the members were very excited about their first concert in Europe, and they carried that energy and enthusiasm with them on stage. They didn’t look a tad out of place in the club environment and the fans went wild when they started playing. They had great stage presence and immediately drew the audience in with their musicality and crowd interaction. Although Hanbyul and Kyumin captured most of the attention as the two main vocalists, the other three also got their deserved time in the spotlight when they showed off their skills on their instruments while the two singers took a break. Apart from playing all their well-loved songs, with the fans mouthing or singing along to the words, the boys also taught everyone present a short dance to do while they recorded some footage for an upcoming release in Korea and Japan. Everyone, including some parents, boyfriends and the press, was asked joined in, which resulted in a great atmosphere. Hopefully fans will be able to see some of that footage in a future mv. Time went by way too quickly for most of the fans, but at the end of the concert the members spoke about how much they had enjoyed the evening and expressed their desire to return to the Netherlands if they ever got the chance, leaving the stage on a hopeful note. 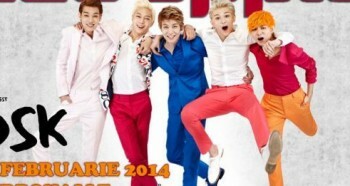 next [en][de][fr] BAP Revealed their European Stops for their “BAP Live On Earth 2014 World Tour”! 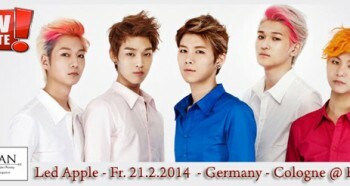 [en][de][pl] LEDapple Concert – Ticketing available in 8 European countries!